Massage therapy does wonders for providing relief from pain and improving mobility and flexibility. This rule apples to everybody, young, oder, athletes and those who prefer sofa. Massage therapy, when used in combination with yoga, helps in strengthening the surrounding muscles and gives an individual long lasting relief from pain. 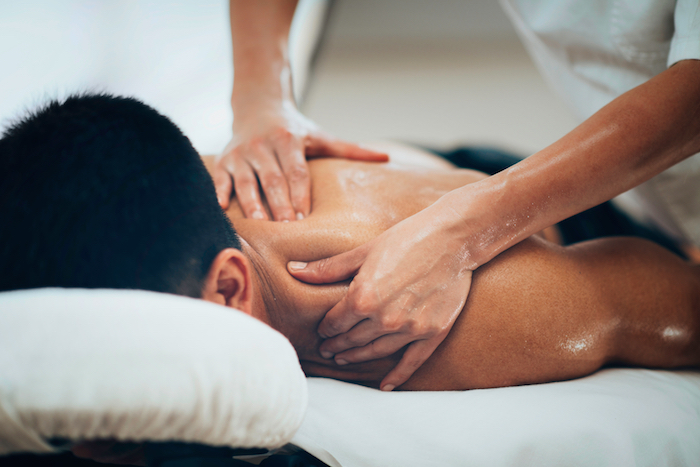 A range of techniques and pressures are used according to how you are feeling physically and emotionally and what your body and mind require at the time, such as: deep, soft tissue or myofascial release manipulation, stretches, breath work or Hopi ear candling. All appointments include a pre-treatment assessment and discussion of what you want to achieve out of the treatments, whether it be for a specific pain condition, stress, anxiety or sports event training. We use a range of massage and soft tissue methods to help address your area of pain caused by injury or trauma. Massage for neck and back pain: Do you suffer from headaches and migraines? Have you had prolonged back pains? Do you have postural problems as a result of sitting in front of a computer for too long? Bodywork may help with symptoms of rotator cuff injuries, frozen shoulder and other upper back issues. If you incorporate some yoga we could target your postural problems as well as retrain the muscles. Massage for hip and pelvic pain: This is great for sciatic pain, piriformis syndrome, pelvic girdle pain or sacroiliac joint dysfunction. Massage for arm, wrist and carpal tunnel pain: For repetitive strain injury, carpal tunnel syndrome, releasing the deeper muscles and tendons of the arms, and hands. Massage for leg, knee and foot pain: Fantastic for runners, especially if you suffer from ITB syndrome, runner’s knee and plantar fasciitis. Hopi ear candling is a non-invasive therapy that many people use to help relieve sinus problems and blocked ears. As the hopi ear candle burns it creates a chimney effect, drawing away the vapour and impurities, equalising pressure. The movement of the flame creates a vibration of air in the ear candle, generating a massage-like effect on the eardrum. For many clients they experience freer nasal passages, a feeling of relaxation and wellbeing. We offer short 30 minute or longer 60 minute treatments that include full facial drainage & scalp massage. Reflexology is a technique of applying pressure to reflex areas on the hands and/or feet. The theory of reflexology massage is that the organs, nerves, glands and other parts of the body are all represented or connected by these reflex areas found in the hands and feet. Loyalty cards are available: get 5 treatments and the 6th one will be free. To book your treatment either follow the online link or mail info@dpwellbeing.com to book. Life turbulences, stress, prolonged sitting, driving, running from one task to another, not being able to stop and press the ’restore’ button cause a domino effect of negativity in our body and mind. Ignore them and tension will build up until one day you cannot contain it anymore and become ill. We use myfoascial tools to help you unravel tightness in your tissues. Myofascial release works with both the muscles and the fascia to release pain and stress. We offer myofascial workshops and special classes. Check out workshop & event timetable to see when we are holding one or email us if you want to run one at your workplace or sport club. Aches, tweaks and tightness, desk-bound lifestyles, running after kids, packed schedules - many of us are holding a tremendous amount of tension in our body and often even yoga and fitness doesn't quite unwind it! Foam rolling is a powerful therapeutic self massage technique. Using our own body weight on a foam roller, we roll our bodies out, muscle chain by muscle chain, creating length in the connective tissue and space in all of the joints. The result is a release of tight spots in your body. People walk away feeling and looking taller, with greater range of motion in the joints, and a deep feeling of freedom in the body. It feels wonderful, like giving yourself a deep massage, but helps to bring tone to muscles that are under-performing, and offers lasting results that deepen with every experience on the roll. We offer foam rolling workshops and corporate classes. Check out workshop & event timetable to see when we are holding one or email us if you want to run one at your workplace or sport club.